Gladstone’s School for World Conquerors is a Young Adult Graphic Novel series by Armand Villavert & Mark Smith about a top secret academy for the children of the world's greatest Super Villains to learn the trade. In 2004 Smith caught the attention of Image Comics Publisher Erik Larsen and then Executive Director Eric Stephenson who picked up his and Dan Hipp's first comic book series titled the Amazing Joy Buzzards. Smith is the co-creator and editor of the Popgun Comics anthology. Popgun won the Harvey Award for Best Anthology in 2008. Popgun volume 2 was nominated for Best Anthology of 2009. Popgun volume 3 won the Eisner Award and was nominated for the Harvey Award for Best Anthology of 2010. Mark Andrew Smith wrote the original graphic novel Aqua Leung, published in April 2008. Aqua Leung was nominated for a Yalsa award for best graphic novel for teens. Also in 2008 Smith wrote Kill All Parents, a 38 page one shot about superheroes whose parents are killed by a secret government program, drawn by Marcelo Di Chiara, also for Image Comics. In 2009 Smith released The New Brighton Archeological Society stemming from a series of short stories in Popgun with artist Matthew Weldon. The New Brighton Archeological Society follows a group of children whose parents are the greatest archeologists in the world. When their parents are lost on an expedition, the children must finish their parents' work, collect the books of magic, and defeat their parents' nemesis. 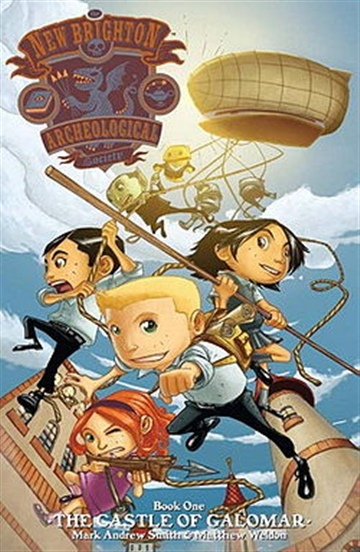 The New Brighton Archeological Society was selected as "Best All-Ages Comic" of 2009 by MTV Splash Page. The New Brighton Archeological Society received two Harvey Award Nominations in 2010. Smith has been published in a number of anthologies such as the Belle & Sebastian Anthology, 24Seven Vol. 1, Space Doubles, Paper Museum Vol. 3, and Popgun. 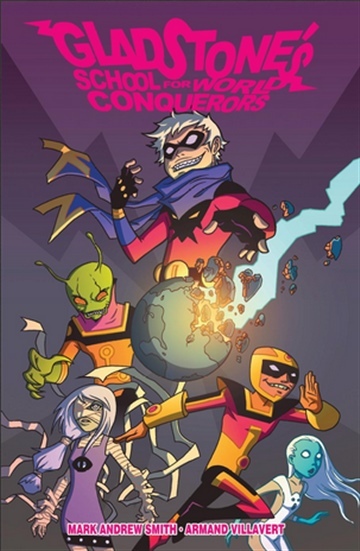 2011 saw the release of Smith's Gladstone's School for World Conquerors with artist Armand Villavert which centers on a super-villain academy. Smith released Sullivan's Sluggers, a baseball horror graphic novel drawn by James Stokoe, in 2012. Smith's next projects are Gladstone's School for World Conquerors Books 2 and 3, and New Brighton Archeological Society Book 2, to be released in 2015.